Governments across the world have been urged to make justice and equity integral components of international dialogue on climate change. At a civil society workshop organized ahead of the third Annual Conference on Climate Change and Development in Africa (CCDA-III) in Addis Ababa, participants called for the broadening of the conversation on climate justice beyond science and environment, and reaffirmed the role of local people’s participation in efforts to address climate change. The workshop, whose theme is “shaping a fair/equitable climate agreement in Africa”, is organized by the Pan African Climate Justice Alliance in partnership with Mary Robinson Foundation for Climate Justice, World Resources Institute and the African Climate Policy Centre (ACPC), as a platform for stakeholders to deliberate on Africa’s development in a context of climate change. On her part, the former President of Ireland and UN Goodwill Ambassador for Great Lakes Peace Process, Mary Robinson, said that voices of vulnerable communities need to be heard loudly. “Women are particularly vulnerable and should be included in dialogue processes”, she said, and noted that the UN Climate Conference in Doha last year recognized women as key actors and made a decision on gender. Speaker after speaker, drawn from various sectors and regions, sought an answer on how to galvanise the movement and build alliances with stakeholders working on climate justice to link up with the general continental and international campaigns and initiatives in the broader climate justice movement for exchanges and collaboration for common actions in future negotiations. 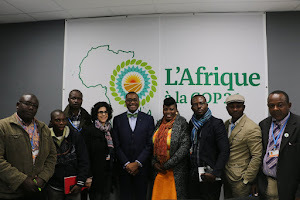 They urged African leaders to remain united and in highlighting historical responsibilities of industrialised countries to fulfill their existing legally binding commitments and undertake drastic emissions cuts in line with their fair share of the global carbon budget. The workshop is supported by Swedish Government, CDKN, Christian Aid, Diakonia, Oxfam, among others. Notes for the editor; The Pan African Climate Justice Alliance (PACJA) is a continental coalition of civil society Organizations in the African continent, with over 500 members in 45 countries in Africa brought together by common goal of promoting and advocating for climate-friendly and equity-based development.